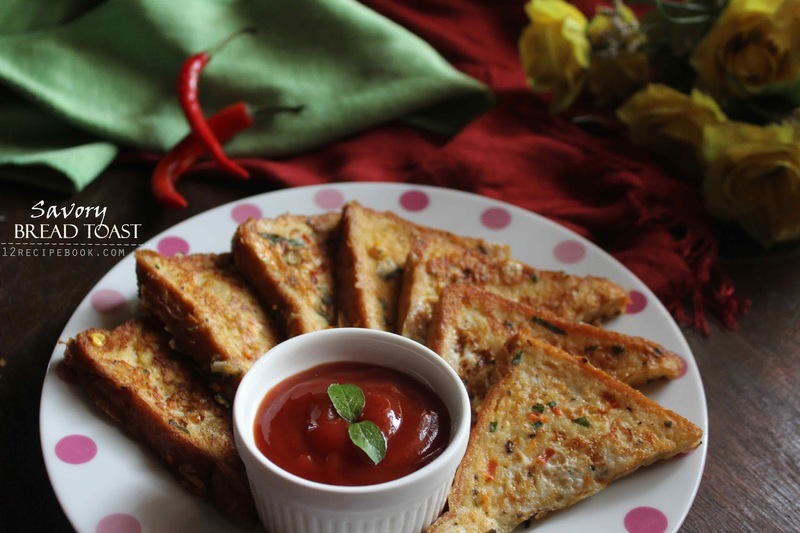 Bread toast is a brilliant and lazy breakfast or snack idea. Usually we are making it in a sweet version ; ie French Toast. We can make the savory version also in a quick fix. 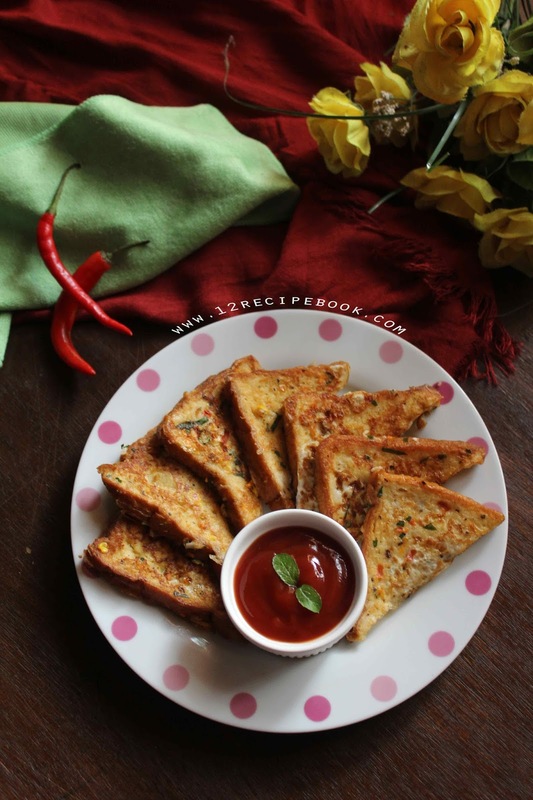 Chop the veggies as thin as possible to make lovely toast! In a mixing bowl crack eggs. Add milk and mix well with a fork. Add all the chopped veggies, salt and pepper. Heat a non-stick pan with butter. Cut the bread slices in to two equal triangles. Dip a slice in the egg mix and coat well evenly. Place it on the hot pan followed by other slices. Add some more topping on top (if you wish to). Cook on low flame for about 4-5 minutes. Flip gently to cook even. Cook for another 4-5 minutes and add in to serving plate. Note: The toast tastes great when it is served warm or hot.